We are proud to announce the release and immediate download availability of XCloner V3.0.1. Please note, the current status is Beta, so we do not recommend it to be used on production sites just yet as we need to do further testing. We would however appreciate any feedback input as always. 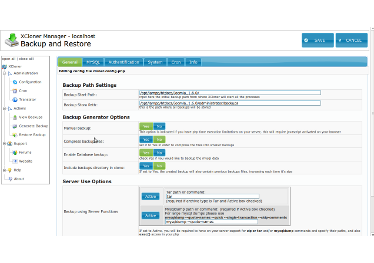 New release XCloner V2.2.1	Creating a Joomla backup under 4 Minutes! At the moment, XCloner doesn’t support this feature, i would appreciate if you could make a feature request in our free forum, we will look into implementing it. How to take a backup of mysql stored procedures using xcloner?